Women's zip-through hoody from Polo Ralph Lauren. Crafted from a comfortable cotton blend with a fleece lining, a drawstring hood and a full zip front fastening. 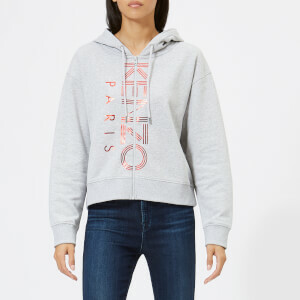 The hooded top features ribbed side panels and the brand's signature embroidered pony logo at the chest. Complete with a split kangaroo pocket and a rib-knit hem and cuffs. Tonal stitching throughout.